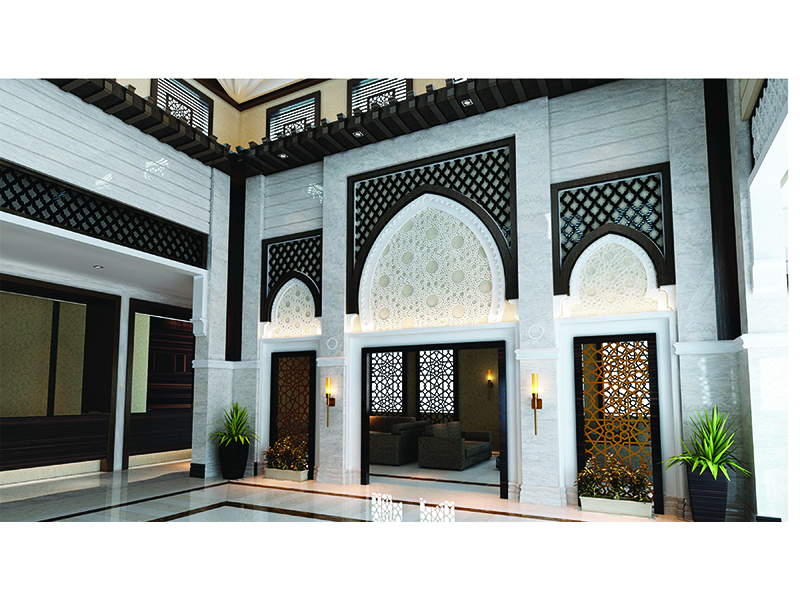 Program: Administrative Offices, Delegate Reception Hall (Majlis), Atrium Lobby, Prayer Hall, Services Facilities, Visitor’s Reception Hall and Underground Staff Parking Garage. 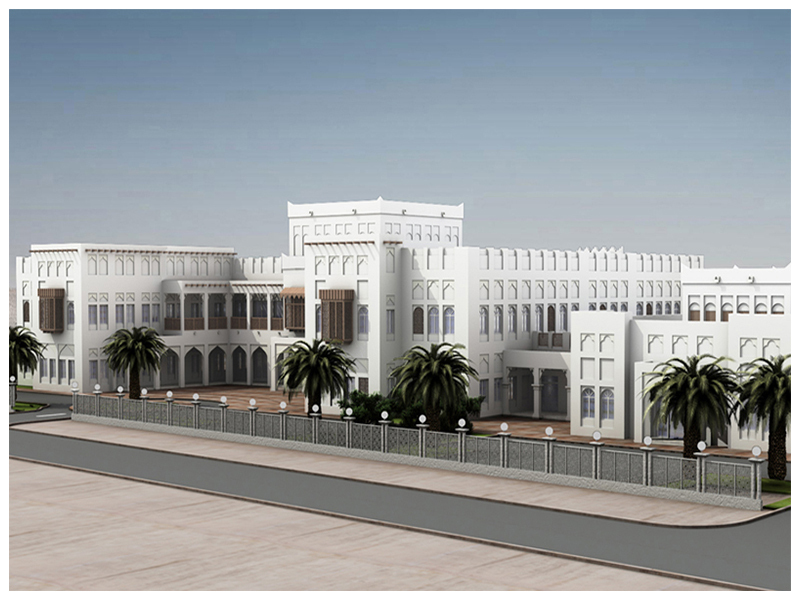 Designed as a Social Affairs Administration building for the State of Qatar in the Qatari style architecture, this built structure ensures continuity and vibrancy of the immediate context. 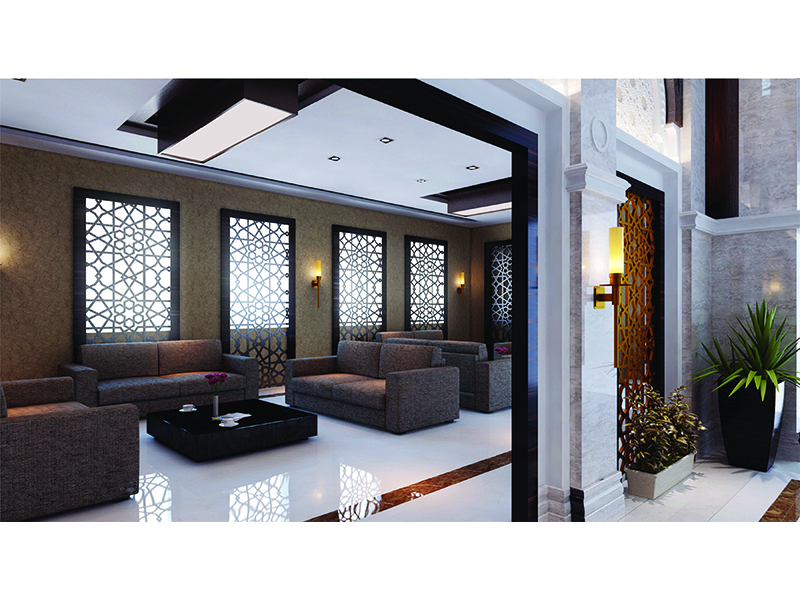 A harmonious connection has been maintained between the needs of the end users/visitors and aesthetics. A sense of monumentality and hierarchy has been achieved by the combination of local architecture and modern interior facilities.